With the growing season well underway, Sam Brake’s attention is focused mainly on the fields where he sees North Carolina’s biofuel future. The Department of Agriculture and North Carolina State University jointly run 18 agricultural research stations statewide that test various crops in different soil and climate conditions. Brake, an agricultural program specialist with the state’s Bioenergy Research Initiative, oversees the grant program supporting research on plants such as giant miscanthus, a grass that is used in biofuel production. Brake sees the research playing a key economic development role. For every dollar that North Carolinians spend on gasoline, up to 85 cents of that dollar leaves the state, Brake said. But if North Carolina can grow crops that can be converted into biofuels used in state, the equation changes: up to 95 cents of every dollar spent would remain in state. Brake’s comments came during the 2015 State Energy Conference, an annual event that draws energy industry professionals from across the Southeast to NC State’s campus in Raleigh. More than 600 people attended the two-day conference, which this year happened to conclude on Earth Day. Throughout the event, presenters talked about the opportunities and challenges for renewable energy in North Carolina. Crop research underway would support a planned bioethanol production facility for Biochemtex. The Italian company announced in 2013 that it would construct a cellulosic ethanol production plant in Sampson County, some 60 miles south of Raleigh. But construction has not yet started, which Brake attributed in part to a “chicken and egg problem.” Farmers won’t commit to growing biofuel crops until they know a facility will buy them. But biofuel producers won’t build until they know they can get the crops. The economic viability of biofuels depends on something that biofuel producers have no control over—the price of a barrel of crude oil. Plummeting oil prices in the last year have dampened investor interest in biofuels. But oil prices fluctuate, and historical trends show that higher prices eventually return. 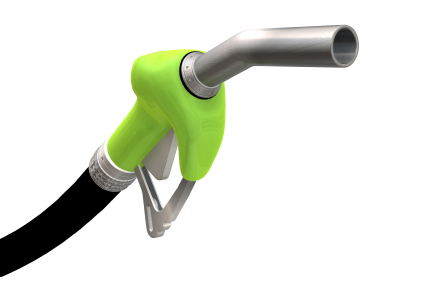 When that happens, said Jacob Traverse, enterprise and technology development director at the North Carolina Biotechnology Center, bioethanol could prove to be economical. Investors are still wary of cleantech investments, particularly after getting burned five to eight years ago, said Ron DiFelice, managing partner for Energy Intelligence Partners, a Chapel Hill, NC, consultancy. A rush into cleantech investments failed to deliver the returns investors expected. Fund investors now tell venture capitalists to avoid putting their money into cleantech, DiFelice said. While many investors view cleantech with skepticism, some clean and renewable technologies are now finding greater market acceptance. Take, for example, discount retailer Family Dollar’s (NYSE: FDO) chain of stores, which stretches across the country. Most of its 8,000 locations are leased, not company owned. Still, Family Dollar left itself flexibility to implement cleantech and renewable energy systems at those sites. The company negotiated rights in its leases to install solar energy, if it chooses, explained John Thigpen, energy manager for Family Dollar. Residential solar installations are also gaining traction in North Carolina—and around the country—driven in part by tax credits. It also helps that the price of solar installations has dropped by about 80 percent in the last five years, said Bob Kingery, president of Southern Energy Management, a Morrisville, NC-based solar energy system installer. While solar installations continue to grow in North Carolina, the state has another opportunity to lead in renewable energy. Southeastern states hold 82 percent of the nation’s offshore wind energy potential, said Brian O’Hara, president of the nonprofit Southeastern Wind Coalition. Of those states, North Carolina’s potential is the highest. Despite that potential, various stakeholders—the Department of Defense, the Coast Guard, and the National Parks Service—have each pared back the areas they would allow for offshore wind energy development. While offshore wind energy is already in place in Northern Europe, there are no such facilities yet in the United States. Projects are planned for Rhode Island and Virginia. But for the last three years, North Carolina offshore wind discussions have been in limbo. Restarting those efforts might require a combination of political and industry action, O’Hara said. “The ocean seems like a really big place, but when you start trying to do things out there, you start competing with different interests,” he said.